Getting lipsticks as a gift makes me feel very happy like any other girl. 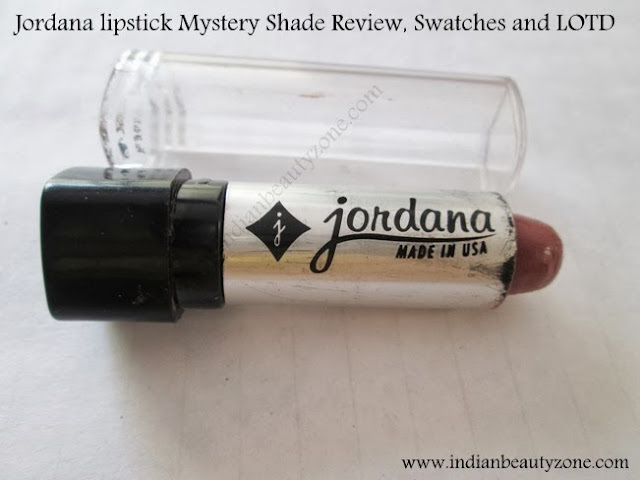 I got these Jordana lipsticks around eight months back when my sister returned from US. She gets me these lipsticks every time she visits our place. Read on the review to know more about these lipsticks.. The lipstick has a silver case and a transparent cap. The packaging in my opinion is not something to die for. there is nothing so great about it. It has a click lock so its travel friendly.. the best thing about the packaging is that the bullet is easily visible through the transparent cap which makes it easier for me to search it in my huge makeup kit. 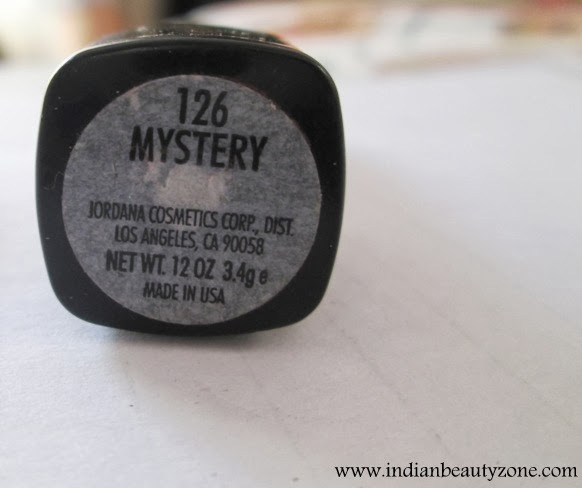 The shade mystery is a brown shade with no shimmer. The brown is not too dark but its not light either. its somewhat like coffee.color. It is not a matte lipstick The texture of the lipstick is creamy and moisturizing. Its not a fragrance-free lipstick. I can relate the fragrance to a strawberry bubblegum but its not overpowering and won’t disturb the senses. 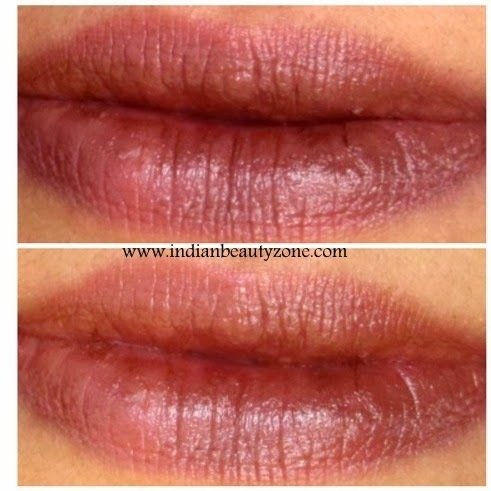 It is highly pigmented and just one swipe makes your lips beautiful. 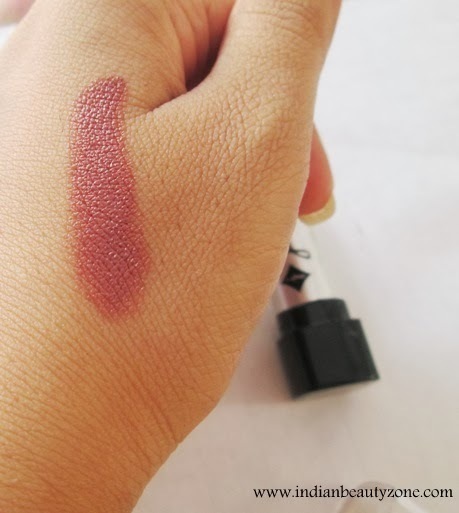 Though the texture of the lipstick is creamy but it is not the one which I love to swipe on my lips many times. As it is not buttery smooth . I won’t say that its hard either. its just not the one that will glide over my lips. It is well pigmented and will cover pigmented lips too. The lipstick is quite moisturizing and doesn't dry out my lips. But since winters are approaching I feel the need to apply a lip balm under my lipstick. The lipstick do settles into fine lines. The shade Mystery will suit both the fair as well as dusky beauties. In my opinion. It stays on my lips for around three hours with little snacking after which starts to fades and leaving behind a stain on the lips. Availability in India might be an issue for some. Its not for those girls who prefer fragrance- free lipsticks. It is a decently priced lipstick which stays on for around three hours and provides good coverage.it is nicely pigmented. If fragrance is not an issue for you then you should grab it girls!! the shade is so unique! love this review! looks good on u though not my kind of shade! Somehow brown lippies makes me look vampy..